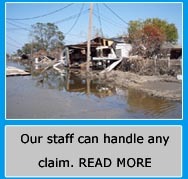 Coastal Public Adjusting will handle many types of losses. This list is just a few of those perils. 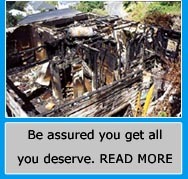 Hurricanes can do extensive exterior and interior damage. Flooding occurs from rising waters. May be caused by wiring, act of nature, etc. Is a common problem after water has penetrated. The damp area will then begin to grow bacteria in the warm humid environment. May occur from a hot water system, air conditioning system, plumbing system etc. Malicious mischief which causes damage to personal property. Happen due to a crack or opening. Air condition systems, Roof structures, Hot water heaters and Dishwashers are usually the most common.